Moms Key Demographic for Winning Initiatives, Research Report Argues. Women between 30 and 55 are the key demographic group for winning marijuana legalization initiatives, according to a new report from the Global Drug Policy Observatory. The report, "Selling Cannabis Regulation: Learning From Ballot Initiatives in the United States in 2012," analyzed the 2012 initiative efforts in Colorado, Oregon, and Washington, as well as looking at the 2010 Prop 19 effort in California. The campaigns in Colorado and Washington successfully targeted that key demographic, the analysis found. The report also found that key messages to voters were that legalization would free up scarce law enforcement resources and that it would create new tax revenues. There's plenty more to read in the report; click on the link for the whole thing. Marijuana DUI Breathalyzer Test Coming? Researchers at Washington State University are working to develop a marijuana breathalyzer that could detect THC on a driver's breath. The researchers said the device would probably not provide an exact reading of the amount of THC, but could help officers determine if there is probable cause for a DUI arrest. But a follow-up THC blood test would still be necessary for use as evidence in court. Researchers said they hope to start testing this device in the first half of next year. Arizona Legislative Analysts Say Legal Pot Could Generate $48 Million a Year in Tax Revenues. The Joint Legislative Budget Committee has produced a report estimating tax revenues from legalization at $48 million a year. The report was produced in September, but details were not released until the Phoenix alternative weekly New Times obtained a copy Monday. The report was in response to a Democratic bill to legalize marijuana. That bill was killed in April, but could be back next year. And there is a legalization initiative effort underway for 2016, backed by the Marijuana Policy Project. Trial Postponed, New Judge Assigned in Widely Watched Federal Medical Marijuana Case of Kettle Falls Five. A new judge assigned to hear the widely watched federal medical marijuana case of the Kettle Falls Five has continued the federal trial scheduled to begin Monday in Spokane, Washington. Senior Judge Fred Van Sickle has been replaced by Judge Thomas O. Rice, who set a new trial date of February 23. This comes as the US Senate plans to consider a measure later this week that would prohibit Department of Justice funds from being spent on medical marijuana enforcement in states where it's legal. Advocates say that federal prosecutions like the Kettle Falls Five, as well as pending asset forfeiture cases in California, would be impacted by the passage of such a measure. The change in trial date also came soon after CNN ran the latest national media piece on the Kettle Falls Five, discussing the contradictions between Washington's adult-use and medical marijuana laws and the prosecution of state compliant patients like the Kettle Falls Five. Los Angeles Has Shut Down More Than 400 Dispensaries.The office of City Attorney Mike Feuer says it has shut down 402 dispensaries since Feuer took office in the summer of 2013. The office has also filed more than 200 criminal cases related to dispensaries, with 743 defendants. It is unclear what the actual impact is, however; new dispensaries seem to pop up at the rate of one a day. North Carolina Harm Reduction Coalition's Members Save Over 200 North Carolinians From Drug Overdoses With Naloxone. The Coalition announced today that it had received a report of its 208th overdose reversal using the opioid antagonist naloxone (brand name Narcan). The Coalition has distributed over 5,100 overdose prevention kits containing naloxone since August 2013. That was made possible by the passage of a 911 Good Samaritan/naloxone access law in April 2013. For more information on overdose prevention training or how to receive a naloxone kit, go here. Naloxone Price Going Up Dramatically. Just as police departments across the country make plans to stock up on the opioid overdose reversal drug naloxone, manufacturers are jacking up prices. In Georgia, police report the price of a kit jumped from $22 to $40, while New York City is reporting a 50% price increase. Manufacturers have not explained the increases, but some activists have suggested that with the surge in orders from government entities, the makers have seen a chance to grab windfall profits. "We've had a pretty steady price for several years now,"said Matt Curtis, the policy director of VOCAL-New York, an advocacy group. "Then these big government programs come in and now all of a sudden we're seeing a big price spike. The timing is pretty noticeable." 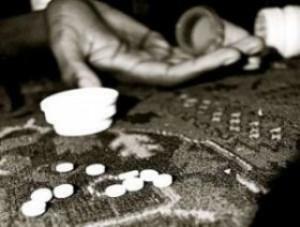 CDC Reports Drug Overdose Deaths More Than Doubled Between 1999 and 2012. In 2012, more than 41,000 people died of drug overdoses in the US, more than doubling the figure of 17,000 in 1999. Of the 41,000 drug overdoses in 2012, 16,000 were from opioid pain relievers (although that number actually decreased 5% from 2011), while nearly 6,000 were from heroin. Thus, legal and illegal opioids accounted for more than half of all overdose deaths in 2012. The overall overdose death rate also doubled, from 6.1 deaths per 100,000 in 1999 to 13.1 in 2012. The highest rates of overdose deaths were in West Virginia (32 per 100,000), Kentucky (25 deaths per 100,00 people), New Mexico (24.7 per 100,00 people), Utah (23.1 per 100,00 people) and Nevada (21 per 100,00 people). The report is "Trends in Drug Poisoning Deaths, 1999-2012." Sen. Chuck Schumer Wants $100 Million to Fight Heroin. Sen. Schumer (D-NY) is seeking an emergency appropriation for a "heroin surge" to combat increased heroin addiction and overdoses. 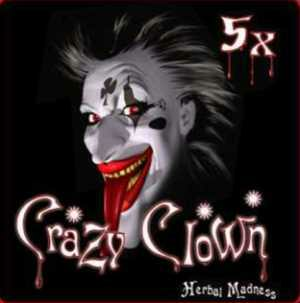 He wants $100 million appropriated to the High Intensity Drug Trafficking Area (HIDTA) program. The move would increase HIDTA funding to $338 million nationwide, if the funding is approved in the federal budget. 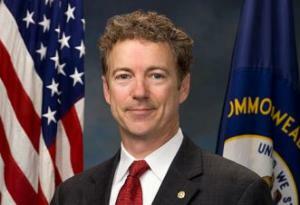 Kansas Welfare Drug Testing Law Not Catching Many. That's at least in part because the state is not actually testing many welfare applicants. After four months in effect, the state has tested only 20 applicants, of whom four tested positive. The testing is only required for people who are visibly using drugs, been recently arrested on a drug charge, or were found during a questionnaire screening to be likely to be using drugs. The state has paid $500,000 for the program so far, but has not achieved the $1.5 million in savings from people being disqualified for benefits earlier estimated because it has tested and disqualified so few people. New Synthetics and the Changing Global Drug Marketplace. Stanford University drug policy analyst Keith Humphreys has penned an informative piece on the increasing shift from natural, plant-based drugs to synthetic ones as well as the shift to on-line drug selling and buying. This phenomenon could "upend traditional understanding of drug markets and drug policy," he writes. There's much more; check it out at the link. US Marijuana Production Hurting Mexican Pot Farmers. National Public Radio's John Burnett reports from the Mexican state of Sinaloa that Mexican marijuana producers are being squeezed by made-in-America weed. "Two or three years ago, a kilogram [2.2 pounds] of marijuana was worth $60 to $90,"one grower there told him. "But now they're paying us $30 to $40 a kilo. It's a big difference. If the U.S. continues to legalize pot, they'll run us into the ground." That grower said if matters continued as they were, he would plant opium poppies instead. The report also quotes a DEA official as saying Mexican cartels are now importing high-quality American weed to Mexico for high-end customers. Florida's medical marijuana initiative faces an uphill battle in the campaign's final days. Federal Court Hears Arguments on Proper Scheduling of Marijuana. In a federal court hearing in Sacramento that continues today, three medical experts testified that the scientific evidence does not support classifying marijuana as a Schedule I drug under the Controlled Substances Act. This is the first time in living memory that a federal court in a criminal case has allowed discussion of marijuana's proper placement in the drug schedules. Testifying for the defense in US v. Schweder, Gregory Carter, MD, and Carl Hart, PhD, told the court that marijuana is neither "very dangerous" nor "lacking medical use," both of which are required to support a Schedule I placement. Cincinnati City Council Moves to Fix Its Pot Policy Misstep. Ohio is a state where the possession of marijuana is decriminalized, but in 2006, the Cincinnati city council tried to crack down on it, making possession of even small amounts a misdemeanor offense under city ordinance. The council later repealed that law, admitting it was a mistake. Now, it has moved to undo one of the nastier consequences of its actions, voting Monday to allow people arrested under that ordinance to have their criminal records expunged. More than 10,000 people were arrested under the ordinance, which was in effect until its repeal in 2010. Cato Report on Colorado Legalization: No Big Deal. For all the sturm und drang surrounding the consequences of marijuana legalization in Colorado, a new report by Harvard economist Jeffrey Miron for the Cato Institute finds it just wasn't that big a deal. Miron found little impact on crime, traffic accidents, or teen drug use -- the banes of the anti-legalization folks -- but neither did he find a big impact on the state's economy. And he found that tax revenues were lower than estimated. Miron's bottom line? "The evidence here indicates that strong claims about Colorado's legalization, whether by advocates or opponents, are so far devoid of empirical support." 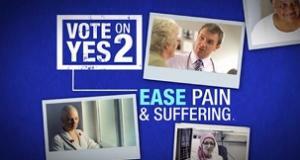 Florida's Measure 2 In Danger. A Gravis Marketing poll released Monday has support for the Measure 2 medical marijuana initiative at 50%, with 42% opposed and 8% undecided. Because it is a constitutional amendment, the initiative needs 60% to win. Gravis had the initiative with 62% in August and 55% early this month. On the other hand, the United for Care campaign sent an email to supporters last night claiming its internal polling had the initiative at 61%. Click on the poll link for methodological details. Republican Money Man Sheldon Adelson Contributes Another $1 Million to Defeat Florida's Measure 2. Las Vegas casino magnate and Republican sugar daddy Sheldon Adelson has thrown another million dollars into the battle to defeat the Measure 2 medical marijuana initiative. Opponents of the initiative have raised $5.8 million to defeat it; Adelson is responsible for $5 million of it. Overall, opponents have spent $5.5 million, pretty much matching supporters, who have so far spent $6.5 million. 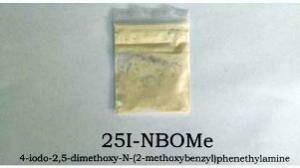 Russia Bans Ingredients for New Synthetic Drugs. Russia has expanded its list of banned drugs to include methoxetamine, NM-018, and methylphenidate -- all used to create new synthetic drugs. The move comes after Russian senators proposed earlier this month to ban new synthetics from the moment they are discovered instead of going through the lengthy process of listing them on the Federal Drug Control Services' list of banned drugs. As of Tuesday, synthetic cannabis ("fake weed") products are illegal in Australia. The ban came when the Therapeutic Goods Administration placed eight groups of synthetic cannabinoids and all synthetic cannabinomimetics on the National Medical and Poisons Schedule. Fake weed is already banned in at least 16 countries and an ever-growing number of US states. The DEA issued an emergency ban on the substances last year, but a bill to make that ban permanent has been stalled in Congress by a hold placed on it by Sen. Rand Paul (R-KY). 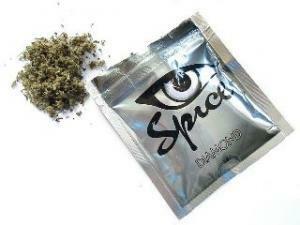 Fake weed consists of powdered synthetic cannabinoids, which are then sprayed on herbal matter and marketed under brand names including Kronic, K-2, and Spice. They produce a high similar to marijuana and sometimes create undesired side effects in users similar to those sometimes experienced with marijuana. No deaths in the US have been directly linked to their use. Possession, manufacture, or sale of fake weed is now a criminal offense in Australia with violators facing fines or jail, including up to 10 years in prison for manufacturing and distribution offenses. The ban came after police last month called for urgent meetings with public health and drug authorities. The state of Western Australia last year requested consideration of a national ban and had banned fake weed in its territory last year after a spate of highly-publicized hospitalizations of users, but no other Australian state had enacted a ban. "These products do not appear to have any legitimate therapeutic use and there is a developing international body of evidence and clinical experience that is showing harm related to use of these substances," said Western Australia Mental Health Minister Helen Morton, who had championed the ban there last year. "Removing synthetic cannabinoids from legal supply, sale and possession is expected to result in a significant decrease in consumption and the associated harm related to their use," she told Perth Now. Ironically, the surge in fake weed use in Western Australia came as the state government there toughened its marijuana laws last year. Prior to the enactment of that law last August, possession of up to 30 grams of pot had been decriminalized, but under the new law, those possessing more than 10 grams face up to two years in prison. The cultivation of up to two plants had also been decriminalized, but is now punishable by up to two years in prison as well. 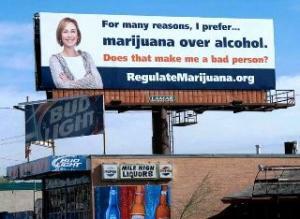 In the opening move of its election season effort to pass Amendment 64, a marijuana legalization and regulation initiative, the Colorado Campaign to Regulate Marijuana Like Alcohol has put up a billboard in the heart of Denver featuring a nice, middle aged woman who says, "For many reasons, I prefer marijuana over alcohol" and asks "Does that make me a bad person?" The billboard near Mile High Stadium sits above a liquor store. It went up last Thursday. The initiative, which takes the form of a constitutional amendment, legalizes the possession of up to an ounce of marijuana by adults 21 and over. Adults would also be able to possess up to six plants -- three mature -- and the fruits of their harvest. It also calls for the licensing of marijuana cultivation facilities, product manufacturing facilities, testing facilities, and retail stores. It would require the legislature to pass an excise tax on the wholesale sale of marijuana and that the first $40 million in tax revenues each year be dedicated to the state's public school capital construction assistance fund. It would give local governments the ability to regulate such facilities or prohibit them. In the most recent polling on the issue, a December Public Policy Polling survey found that 49% supported the general notion of legalizing marijuana -- the poll did not ask specifically about Amendment 64 -- while 40% opposed it and 10% were undecided. That shows that victory is within reach, but by no means assured. One of the key demographic groups needed to win is mothers and middle-aged women, like that nice lady on the billboard. Colorado isn't the only state where marijuana legalization will be on the ballot. A similar effort in Washington has qualified for the ballot, while signature-gathering for initiatives continues in a number of states. Of those, efforts in Oregon and Montana now appear to have the best shot of actually qualifying for the ballot.